Very cute and delicate earrings for the Rainy day! Cheerful for Sunny day too! 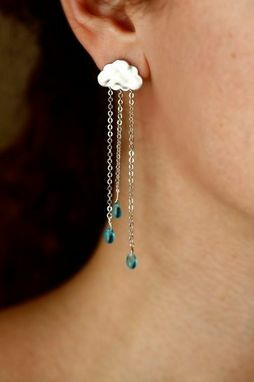 * The clouds are 16K gold plated / rhodium plated over brass with 925 silver post. 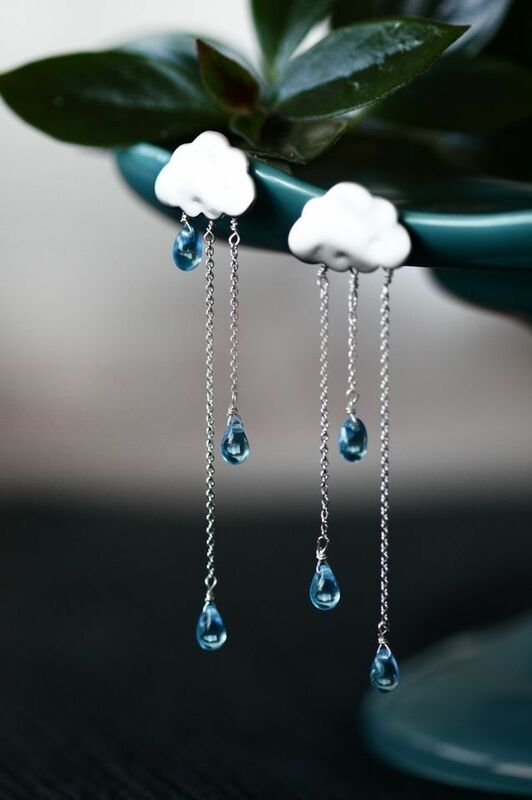 * Rhodium/16K gold plated chains with matte blue drops dangle as rain .